The draw for the FA Trophy was made earlier today and it paired Enfield Town with our old rival's Concord Rangers. It'll be two times in five days as Town will face Rangers at home in the Ryman League on Tuesday 23rd October and then travel to Thames Road for the Trophy game. The games will be the eighteenth and nineteenth occasions when The Beachboys and Enfield Town have played each other with the Essex club being somewhat of a bogey side for us. Saturday 30th October 2004 goes down as an important date in the history of our club when at the seventh time of asking in league fixtures Town finally won against Concord. Lee Smith famously scoring all the goals in an emphatic 0-4 victory. The most well known game between the two sides came on the 1st May 2010 when the Ryman North play-off final was won by Concord Rangers at Thames Road in front of 751 people. In fact as you can see Thames Road (their stadium is now known as The Aspect Arena) has never been a great place for Enfield Town so maybe we are due a result there?? I hope so anyway. 18.Tuesday   23rd October   2012 Ryman Premier          Home ???? 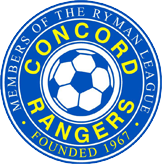 This season, Concord's third in the Ryman Premier, has beeWn a real mixed bag results wise. They recorded a decent 0-3 away win at Southern League Premier Division Kettering Town in the last round of the Trophy as well as taking Blue Square South side Welling United to a replay in the FA Cup which they narrowly lost 2-1 at Park View Road. 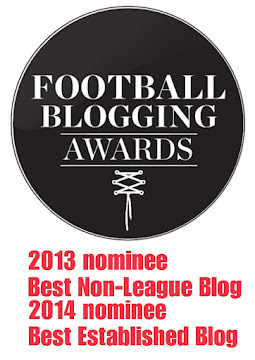 Currently in the league they have played six games and won only one which was a 1-2 away win at Carshalton Athletic. Their last two league results have been 2-2 draws at Hendon and at home to Wealdstone. They face away trips to Margate and Wingate and Finchley and a home game versus Bury Town before the two Enfield Town games. They are now managed solely by Danny Cowley after joint-boss Danny Scopes left during the summer. Cowley is assisted by ex Canvey Island and Waltham Abbey boss Glen Alzapiedi. Striker Tony Stokes has been appointed captain for the 2012/13 season and he is a player to look out for. He graduated from the West Ham United FC academy before moving to Ujpest FC in Hungary. He returned to England in 2010 and caught the eye of many football league clubs during the 2010/11 season. He still remains with The Beachboys. Ex Waltham Abbey forward Harry Elmes is another quality centre forward at Concord and has apparently turned down bigger money offers to stay loyal with the club. Defender John Easterford (who scored Rangers first goal in the Enfield Town play-off final in 2010) has returned after spending the last two seasons with local rival's Canvey Island. Michael Jordan is their current goal keeper who signed in the summer from Blue Square South side Boreham Wood. He started his career at Arsenal and has also played for Chesterfield, Eastbourne Borough and Farnborough. Midfielder Jacob Cleaver, signed from Essex Senior League champion's Witham Town during the summer, has played in most games this season and has apparently attracted football league and Scottish league scouts. The Enfield Town fans and players know that any game against Concord Rangers is always tough and this season will be no different. Of the 22 Ryman Premier teams who played in the FA Trophy 1st Qualifying Round over the weekend there are 13 teams definately through to the 2nd Qualifying Round with Bury Town v Whitehawk, Canvey Island (v Wroxham) and Hampton and Richmond (v Hythe Town) facing midweek replays. 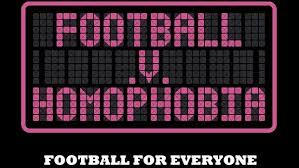 Five teams are out - Hastings United and Hendon both losing against other Ryman Premier clubs with Margate and Harrow Borough beaten by Ryman Division One (South) side's Maidstone United and Whitstable Town. The Met Police's 0-5 victory at Redbridge was watched by just 37 people with just 40 people at Bayliss Avenue to watch Thamesmead Town v Cray Wanderers. The highest crowd was the 475 who saw Margate lose against Maidstone United. The draw for the 2nd Qualifying Round has thrown up a real local derby as East Thurrock United welcome Thurrock to Rookery Hill. The Rocks are bang in form and haven't lost in six league and cup games and face Maidstone United at home on Saturday in the FA Cup in what should be a really good game. They then (subject to a possible replay) travel to Donkey Lane next Tuesday evening for a Ryman Premier Division game. Carshalton Athletic won't relish their trip to Kings Lynn Town who have started the season well and are currently in second place of the Evo-Stik Northern Premier League Division One (South). The Linnets beat Southern Premier Division Barwell in their First Qualifying Round game on Saturday so will fancy their chances against The Robins. Last season's semi-finalist's Wealdstone go to Ryman South Mertsham. The Moatsiders put their poor league form (one win in seven) aside on Saturday to record a decent 2-4 victory at Chatham Town. Mertsham are currently managed by ex Bromley and Carshalton Athletic boss Hayden Bird. 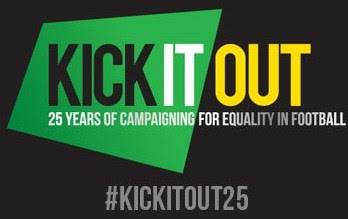 The 2nd Qualifying Round games take place on the weekend of Saturday 27th September. Could a Ryman Premier side do what The Stones did last season and get to the Semi-Final or even Wembley? ?